In a new series, today I’m taking a look at all of the different shows throughout the Walt Disney World Parks. 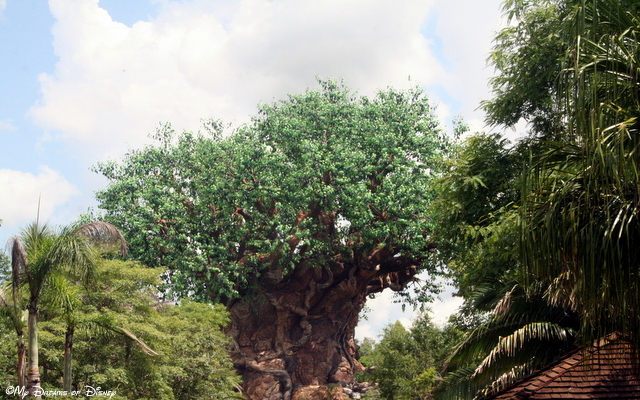 In today’s episode, I’m going to take a look at Disney’s Animal Kingdom Shows. Animal Kingdom has some really top notch shows, some of them are among my favorites. First up in our exploration is Festival of the Lion King, located over at Camp Minnie-Mickey. Festival of the Lion King is, to put it plainly, stunning! The music is incredible, the performance is top notch, and being able to cheer on our own character from the movie just brings the audience into the show that much better! 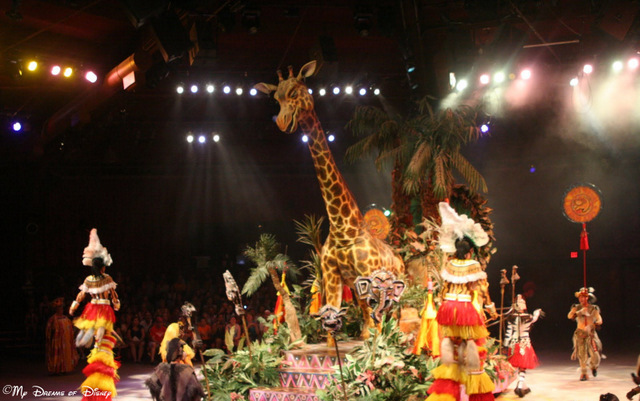 The only drawback I have with “Festival of the Lion King” is that it is hard for us to get seats at times – another testimony of how popular this show really is. I am determined that this year I am going to see Festival of the Lion King, it has been entirely too long since we last saw it. This show located DinoLand U.S.A. is one of the great shows in all of Disney. The casting is phenomenal, and the ability of the cast members to produce a show that includes all of the grace of elegance that fish exhibit in the water is really astounding. 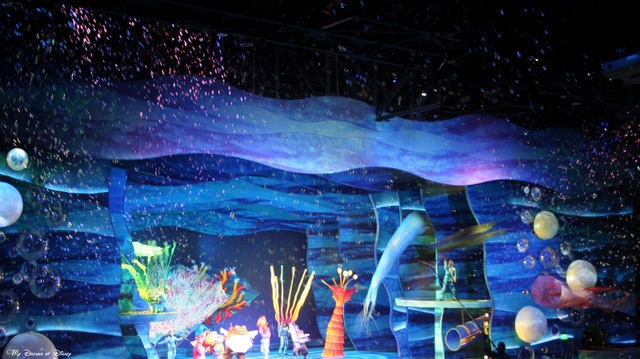 The cast and crew of “Finding Nemo – The Musical” have a lot to be proud of – this show is truly one of a kind. Technically, I suppose that I have to consider “It’s Tough to be a Bug” a show, based on my definition at the start of my article. To be honest, though, we don’t like this show, as you can see in my post on Chip and Company, so I’m just going to say that we don’t like it and leave it at that. So, while Animal Kingdom doesn’t have a large quantity of shows, it does have two of the best shows in my opinion in all of Walt Disney World. What are your favorite shows? Did I miss any? Feel free to comment here, or on Facebook, or send me a Tweet! Thanks everyone, and make it a Disney Day! There are times we go over to AK just to watch FOTLK and then leave! We absolutely LOVE that show! Previous Post: Exploring the Magic Kingdom Shows!